Richard Chiu is not linked to any listings at this time. 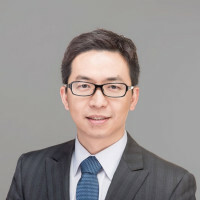 .Born and raised in Taiwan, Richard comes with a Master degree in Information Engineering from the University of South Australia and is fully certified in the real estate profession. As a strong believer in the art of positive thinking, Richard believes that the glass is always full. His hardworking nature, his experience and professionalism in his job, coupled with his enthusiasm for each and every one of his clients, have drawn him to much success in the field. At work, his honesty and integrity have enabled him to provide the best sales and advices for all matters relating to real estate. Richard do not just deal with a situation, he is committed in providing anyone in need with a solution. His high level of responsibility is what makes him a fully committed member of the sales team in his company. Richard is someone you can trust well to always be striving to attain the best price for your valued assets.